Farmer’s market veggies get put to good use in this recipe for gluten-free fettuccine with zucchini, yellow wax beans, and a subtly spicy harissa heirloom tomato sauce. Disclosure: Though I received gluten-free pasta and cookie dough from Cappello’s for free, this post was not monetarily compensated in any way. As always, my thoughts and opinions are my own. That time I went to the farmer’s market twice in one day, both times without a list, and came home with the entire farm (practically) in my reusable shopping bag. And then kicked the.boy out of our bed because WHERE WERE THE TOMATOES GOING TO SLEEP other than that exact spot. We have a child-sized crisper drawer that just can’t handle my vegetable storage needs. Shockingly, he was none too pleased with these new sleeping arrangements, so he insisted I get to cooking them. And, of course, because I didn’t want the tomatoes to think that I was singling them out or playing favorites, I had to throw everything but the crisper drawer into the pasta sauce pot. Including a pound of gluten-free pasta. In the name of honesty, I have to concede that I am a gluten-free pasta skeptic. Err, was a gluten-free pasta skeptic. And then this fresh gluten-free pasta from Cappello’s weaseled its way into my life. Total game-changer. 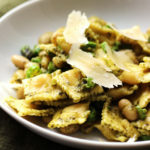 Made primarily from almond flour, this is seriously one of the best fresh pastas I’ve ever had, gluten-free or otherwise. It cooks to al dente perfection in less than a minute, and soaks up all the summer sauce flavors like it’s its job. I don’t know about you, but I sleep so much better at night knowing that my precious tomatoes are in such delicious hands. Pretty sure the.boy does too. 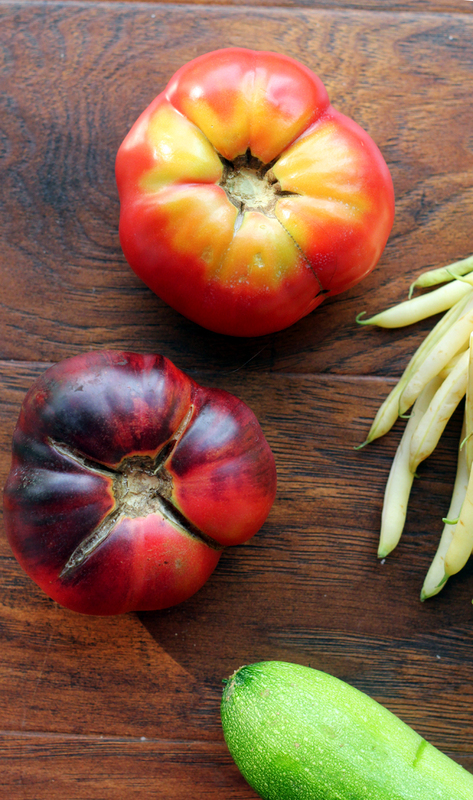 Farmer's market veggies get put to good use in this recipe for gluten-free fettuccine with zucchini, yellow wax beans, and a subtly spicy harissa heirloom tomato sauce. Heat the olive oil in a 3.5 quart pot over medium heat. Add the garlic to the pot and saute until fragrant, about a minute. Add in the yellow beans and saute for a few minutes, until starting to become tender. Stir in the tomatoes, harissa, salt and black pepper. Bring to a boil and then let simmer until pasta is ready. Meanwhile, bring a large pot of salted water to a boil. Cook the fettuccine according to package directions. 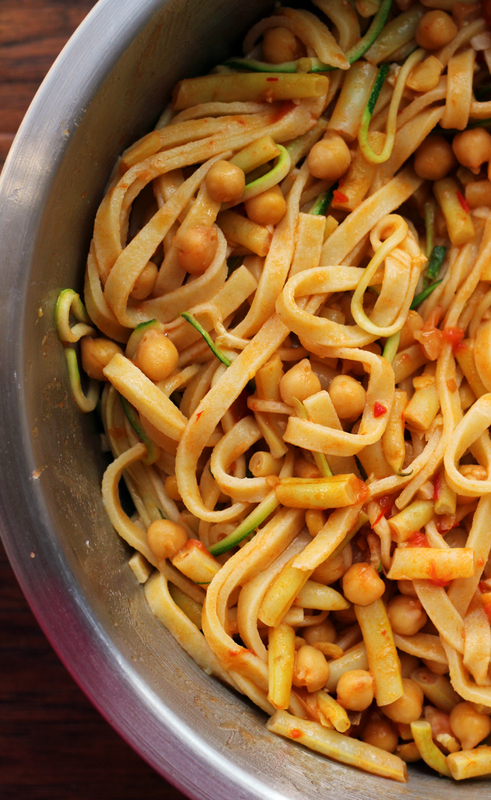 Drain and then toss with the tomato sauce, zucchini slivers, and chickpeas. Season to taste with salt and black pepper. Also, love the packaging of the pasta. I love all your farmers’ market stories! And of course, the recipes that result after your trips to the market too… 🙂 Looks delicious, as always! I’ve had (and even made from scratch) my fair share of GF pasta, but this one looks pretty amazing! I also like the idea of just spooning a big pile of tomatoes to sleep every night. Those tomatoes are gorgeous, they definitely look worth the extra trip to the green market! And I’m impressed at how much you like that gf pasta! 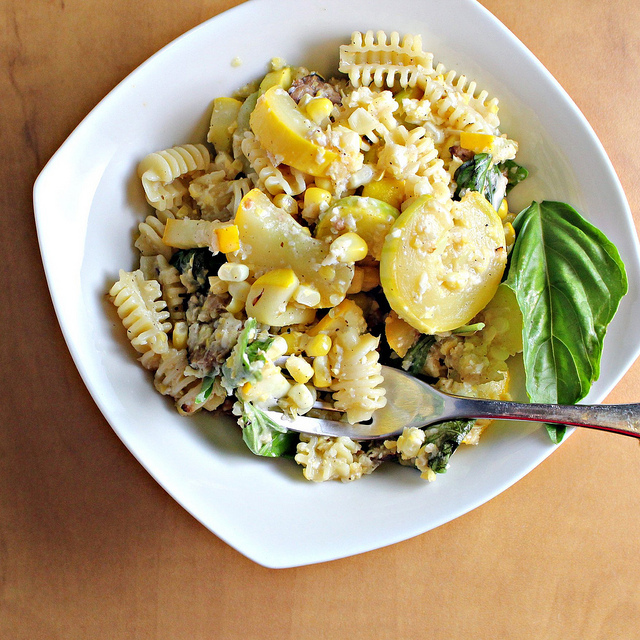 I am all about loaded summer veggie pastas like this. My tomatoes are currently covering the whole counter! 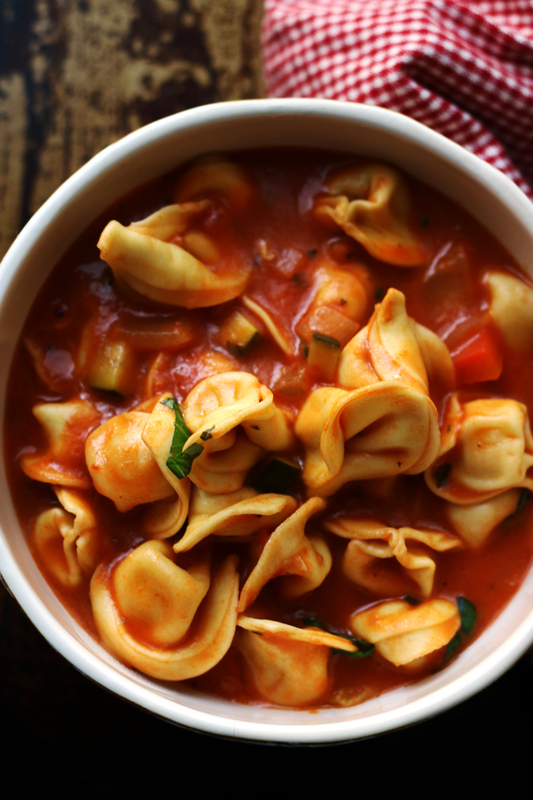 It’s rainy here in Texas and I just want to curl up with a big bowl of this! hehe, I do that all the time at farmers markets! So much so, now hubby does the vege shopping, baby in toll without me… but with my list! This time of year, it’s hard to resist all the amazing produce at the farmer’s market – I came home with two huge bags last weekend and am still working my way through. I’ve never seen that almond flour pasta – going to have to look for it – would never think to make pasta from it. 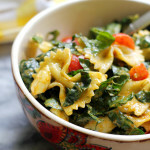 BTW, your pasta looks like summer in a bowl! Pinned! OH Gosh… this dish is so gorgeous and I bet it tastes even better than it looks on the picture. 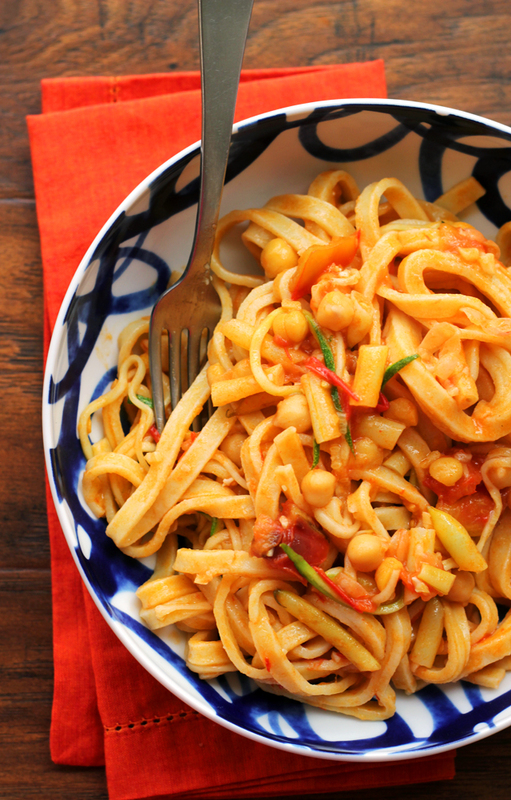 Thank you so much for sharing this almond flour pasta. 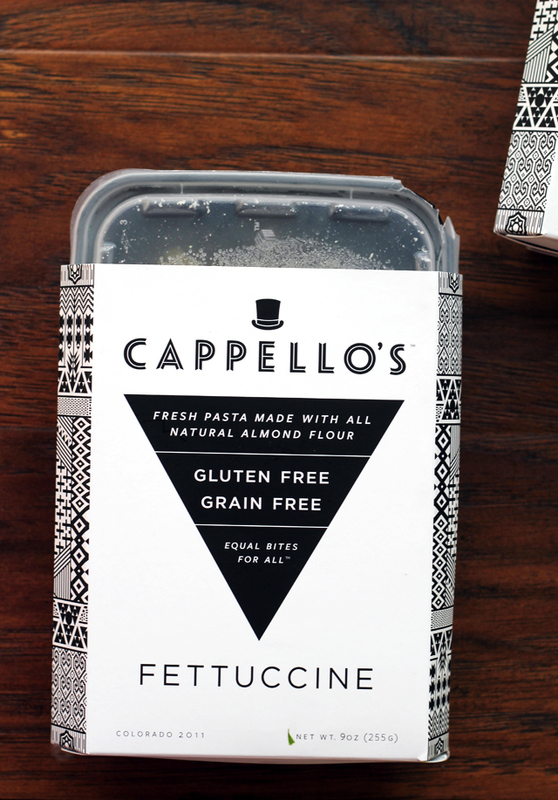 I’ve never heard about this gluten-free pasta from Cappello’s! I have to try it. This looks very delicious! Today I went to farmer markets twice too…and both time back home with lots of salads and vegetables. Just for curiosity, do you have the info on carb content of this pasta? Almond flour pasta?!? I am intrigued! Will have to order online and pay a fortune, but I think pasta with only 18 net carbs per serving is a dream come true for the husband. 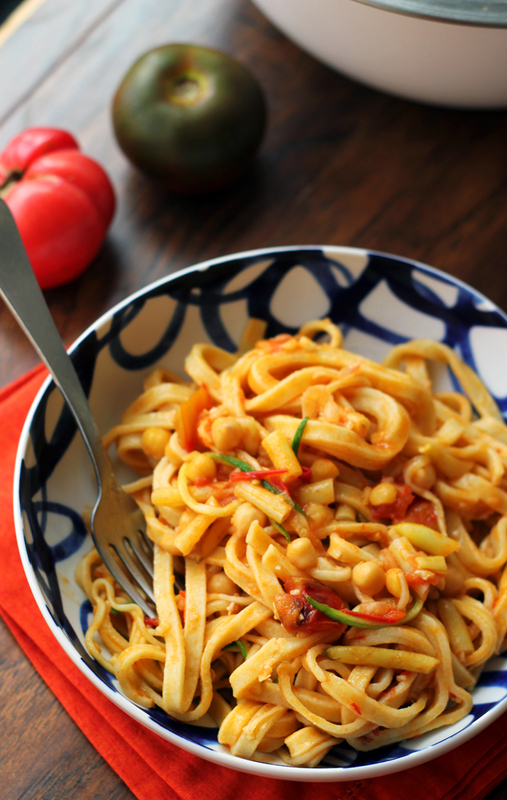 This gluten free pasta look fabulous and al dente! YUMMMMm! I have been dying to try Capello’s – love that you reviewed it and are saying the texture is great! Yum! 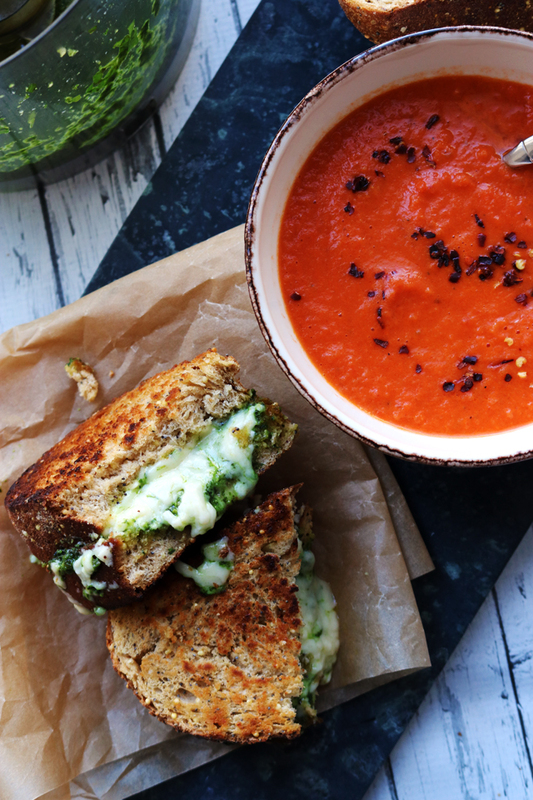 You had me at harissa….and heirlooms…and pasta. I love it all!! Bring on the summer veggies! Scrolling through all these amazing pastas has left me ravenous! Hey, Joanne! 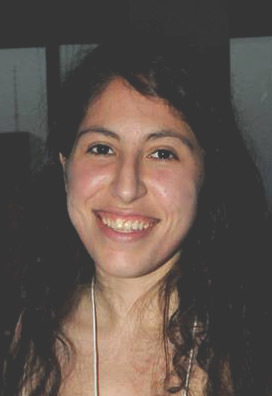 I just wanted to let you know that I have nominated you for a Liebster Award if you’re interested in participating. Hope you are! If you haven’t heard of it, it’s all over google or you can head over to my blog to check out the details. I’d be interested in trying this pasta out. Generally, I’m not a fan of gluten-free things like pasta but then again, I’m pretty ignorant on the subject so what do I know! I like the sound of the almond flour and your bowl of pasta certainly looks delicious! 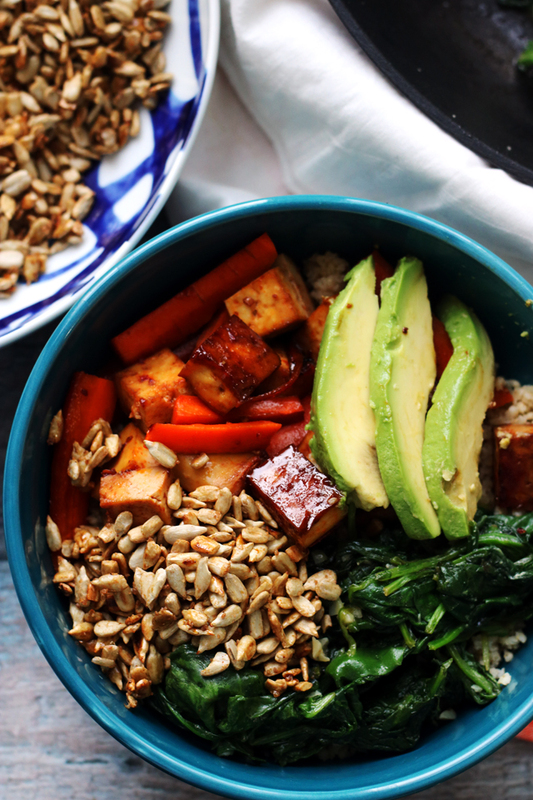 You’re doing all those fresh veggies justice! Hi Joanne, those noodles sounds amazing, I bet they are a little nutty tasting. 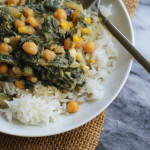 Love this summer veggie dish! 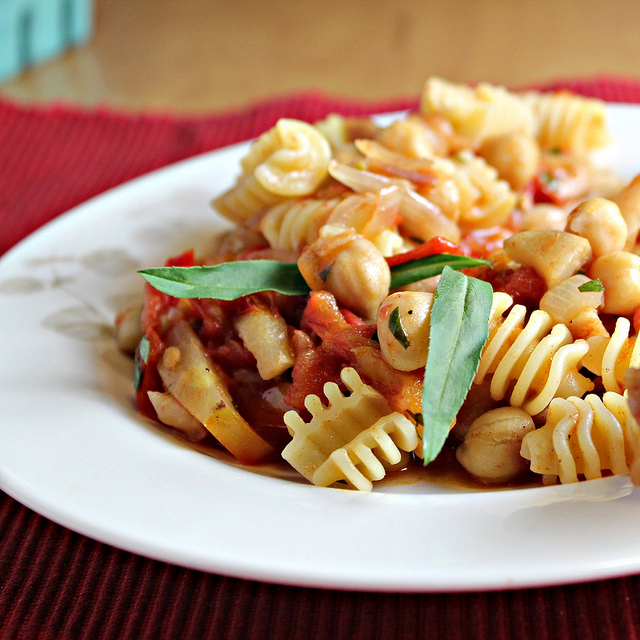 Oh do I want a plate of pasta NOW after reading this post and all of the recipes at the end! Have never heard of gluten-free pasta before this. 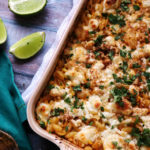 Yummy recipes! Aren’t farmers markets the BEST thing ever?! 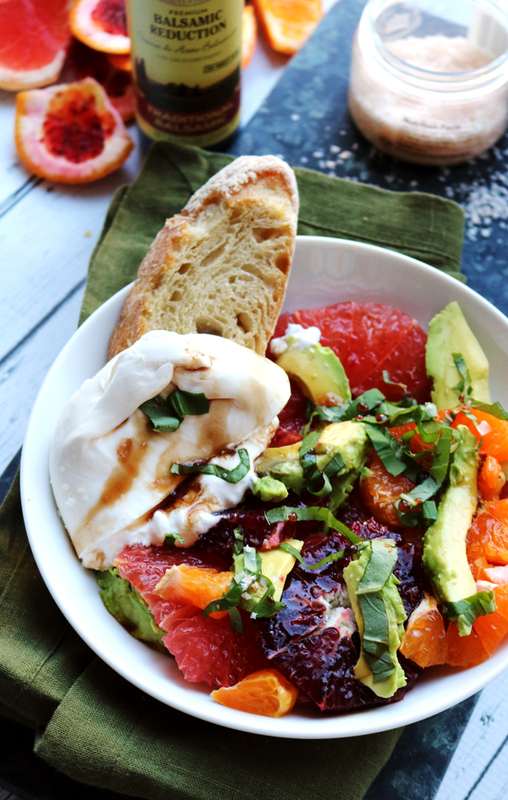 All the produce I end up buying gets thrown together and usually ends up like gorgeous dishes like this one! 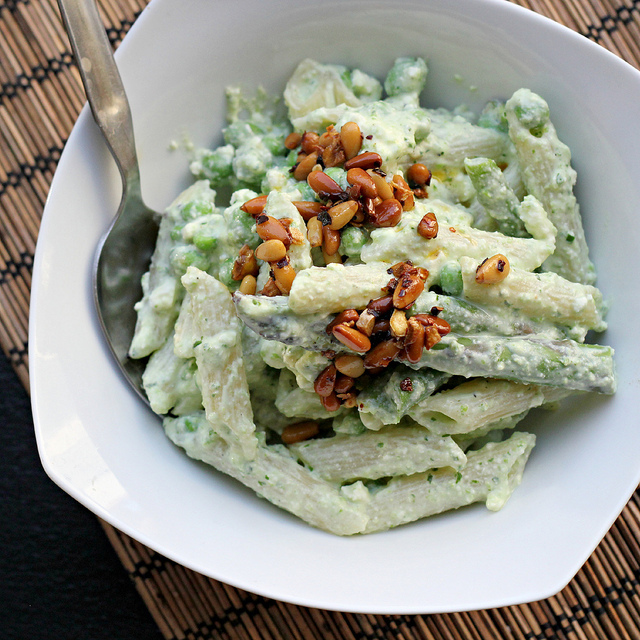 This is one good lookin’ summer pasta! The sauce sounds delicious and I’m glad to hear the gluten free pasta was so good! Glad your tomatoes met a good end despite sub-optimal resting conditions! My pasta that was supposed to be for dinner tonight got moved to tomorrow night, which makes me sad since now I want pasta! This looks awesome! I love harissa, but I’ve never put it in pasta before. Now that I think about it, I’m not sure why because that’s a totally perfect use for it. Can’t wait to try this one! I’m glad someone else has that same problem – there’s never enough room for my produce! 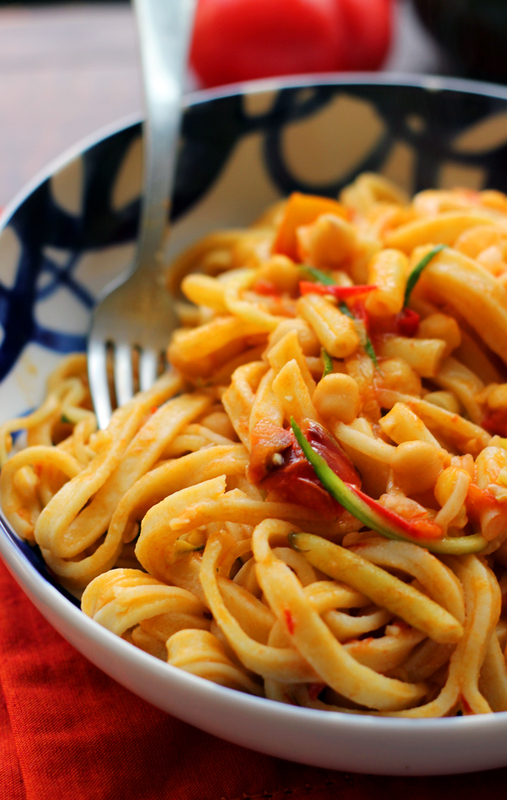 Pasta made with almond flour sounds incredibly delicious! Lovin on the flavors you paired with it! Heirloom tomatoes are so pretty looking! And I bet they are even better tasting! I just started experimenting with homemade tomato sauce and I love it! I need to get my hands on some harissa asap because I know I would love it! Looks like a delicious dish. I have never eaten gluten free pasta before. I think I would be skeptical too, but it does look good. I’ve never tried cooking with harissa but I’m definitely going to have to use it in the very near future. Looks like the gluten will not be missed in this deliciousness!! I fully endorse the notion of sleeping with tomatoes, just FYI.